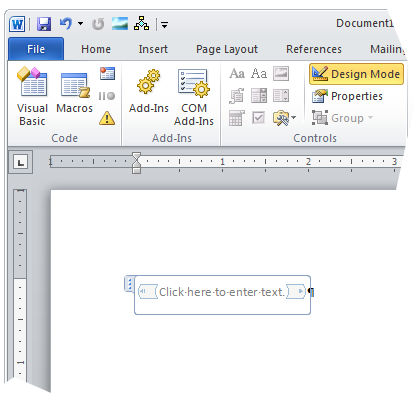 Placeholder text needs "Placeholder text"
Up until now, we've worked with one type of placeholders, those used for custom document properties. There is a second type of placeholder, the one used to display information about your findings. These use a Word feature called Content Controls. 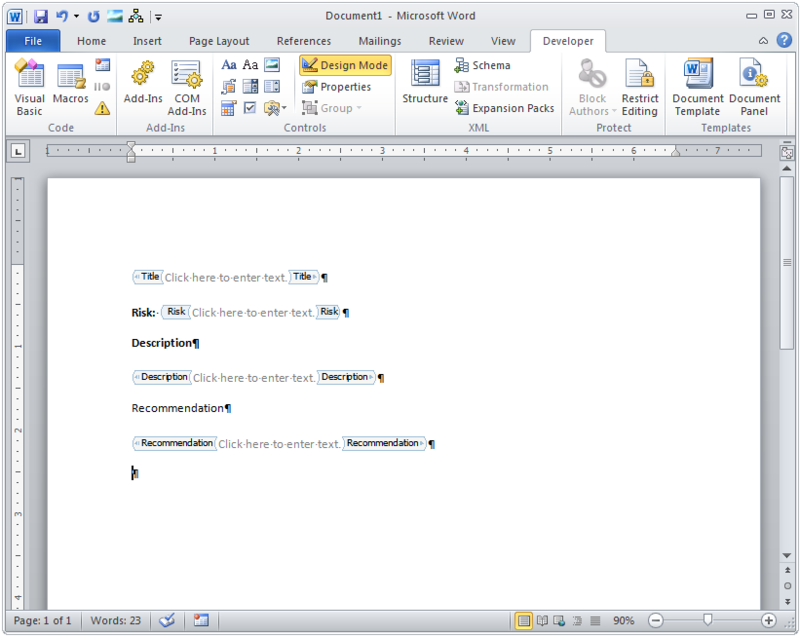 To start playing around with Content Controls, you first need to activate the Developer tab in Word's Ribbon. That was easy enough. Now we've got a placeholder and we need to tell it what type of information we want to output. Is the name of the field we want to output. For example: Description or CVSSv2. Is were we create filters (as explained in Filtering and sorting section). 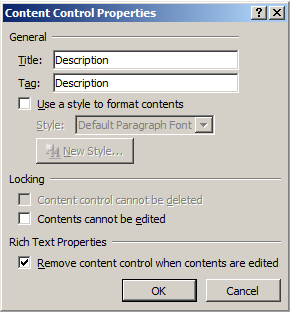 Also, it's always a good thing to tick the Remove content control when contents are edited checkbox at the bottom. We've added the content controls but they're all using the Normal style. 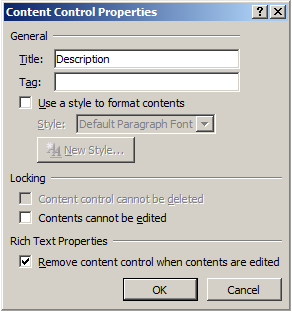 What if we want to add headings or other special styles to specific content controls? The important thing to remember is "Placeholder text". If you apply a style (e.g. 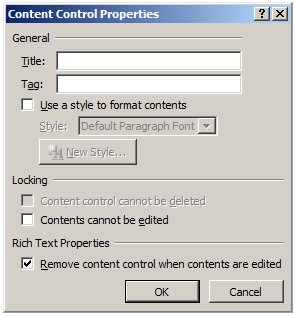 Heading 1) inside the content control, the Placeholder text style will be lost and the Dradis reporting engine won't be able to replace the content control with the text from your project. This is everything we need for now. Each placeholder will extract the corresponding value from the fields in your finding. 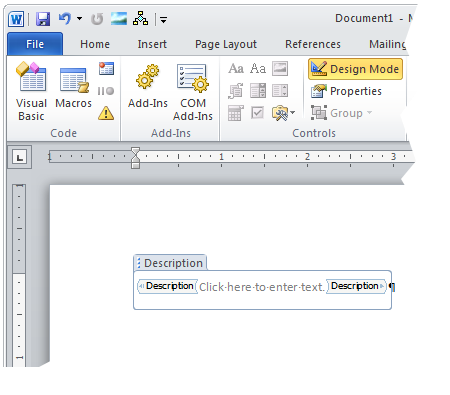 However, the astute reader (that would be you) would have noticed there is something missing from this picture if we compare it with the one we saw in the Introduction to Word templates section. If we have more than one finding in our project, how do we tell the reporting engine that we want to repeat this section of the document for each finding? Glad you asked, that's what the Issue content control is all about. First, we want to make sure you understand a quirk that our team likes to call "The Crazy Triangles ™". Understanding it now will save you a lot of frustration later!